A boy and a girl trying hard to resist their attraction for each other. A girl engaged to a man she will never love soon meets the girl of her dreams. 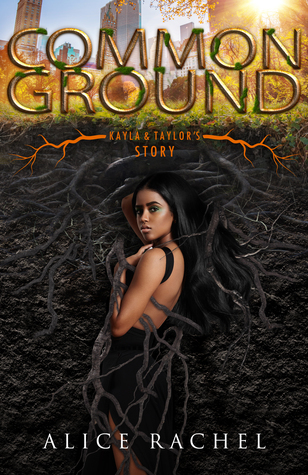 When Taylor Jones moved into the neighborhood, he didn’t expect to fall for the feisty girl next door. His life was already complicated enough as it was. Between his difficult relationship with his father and his sister’s wedding lurking on the horizon, Taylor had a lot on his mind. But his attraction to Kayla wasn’t something he could resist, no matter the consequences. ​Karen Jones had no desire to marry the man who had forced his way into her life. She had always liked girls, and pretending to be straight was never an option. But Jeff wasn’t about to ignore his bruised ego and let her go that easily. ​Kayla Haynes refused to fall for the handsome man next door. Her previous relationship had been a disaster, and she was done catering to men’s needs. But soon, falling for Taylor would be the least of her concerns. Ending: This book can be read a standalone, though it is part of a series so the ending is open toward sequels.